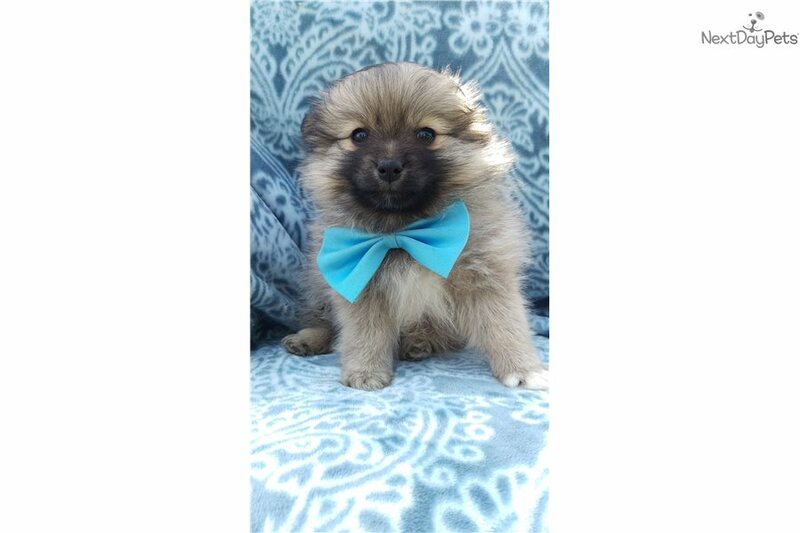 This Pomeranian nicknamed Jax sold and went to a new family. Pomeranians are active, and capable of competing in agility and obedience or simply being your best friend. The Pomeranian is very bright, alert, inquisitive, smart and vivacious. They love meeting new people and get along well with other animals. Jax is a handsome young man and lives up to the characteristics of a Pomeranian. He would love to meet you and your family!